I began this challenge a couple of years ago, completed 25% of it then it got away from me. Simon of Stuck in a Book and Claire of Captive Reader have resurrected it for 2018. I decided I would try to contribute more titles to this challenge again. 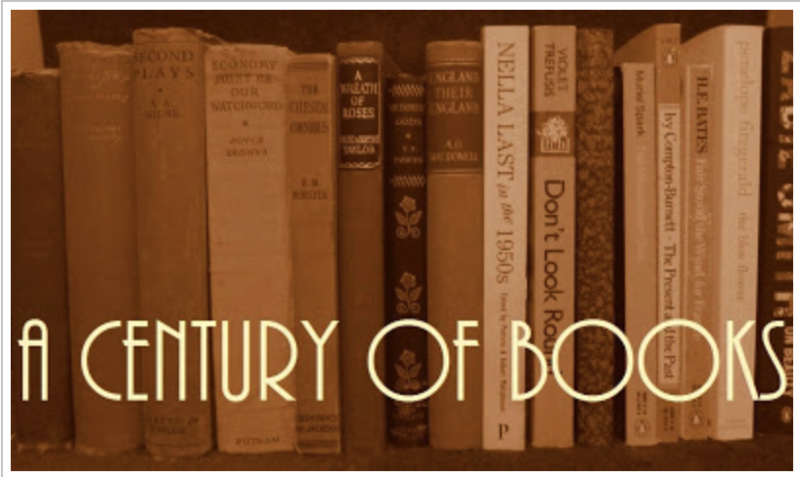 I really enjoy the books of the 20th Century and I am sure I have enough of them on my shelves that are not read I could seek out. Fingers crossed. 1945: Animal Farm– George Orwell – Penguin Books. (The following is a “Maybe” as a couple of others doing this challenge are reading the years 1919 to 2018.) We’ll see. The older links on this page may not work. They were written on blogspot and blogspot imploded on me one day. The others are linked on a WordPress account which is much more reliable. I’m in awe of people who are planning to do this in a year. Your approach seems much more manageable especially if you want to keep your sanity. I like the idea of this. I think Lisa has it running somewhere on her blog too. Is the rule to only include books you’ve reviewed on your blog/s? I certainly wouldn’t do it in one year but, like you, as an interesting exercise. Yes the book must be reviewed, but in my case I will just talk about it as I don’t do formal reviews. Others do that so much better than I do and I don’t like the idea of having to do a more formal review hanging over my head while I’m reading the book. I did review the previous books on my list in blogspot but the links became broken when blogspot crashed on me. Though I have noticed once in awhile they do work. Who knows? It is fun. I would like to find some older Australian books to fill in some of the dates. Would be fun. this appears to be an interesting challenge… are the years when the book was published? or written?… no, that’s silly; it must be the first… and are the books ones you’ve just read this year? It is when the book was published. The people who set up this challenge are doing all the books in one year. I will take (have taken) more time. I will read them as I go, then post them up. To me the speed of reading doesn’t matter, I just want to experience books in that time of history. If you don’t follow Simon of Stuck in a Book you might find his posts interesting as he loves the old authors and books, especially around WWI and II.